I used to buy fancy makeup remover pads from the beauty section at my favorite store, but then I discovered essential oils and all that they could do for you and your skin. 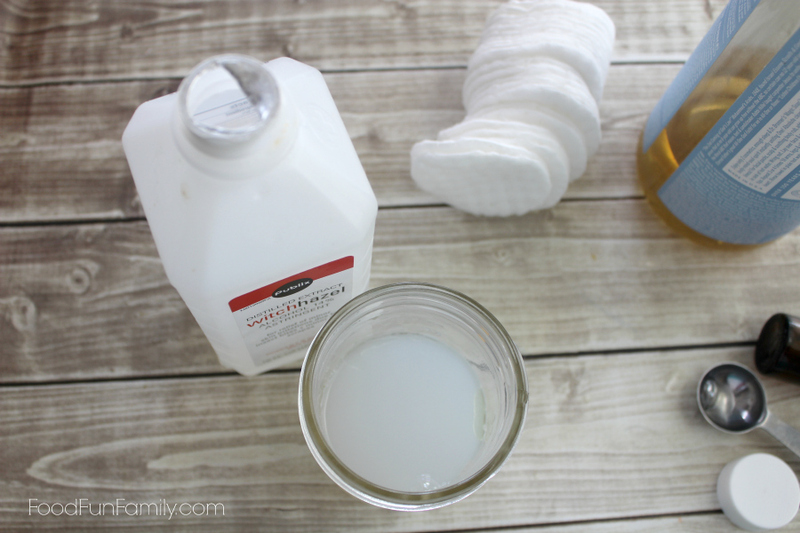 I have tried to replace many of the chemical-filled beauty products on my bathroom counter with DIY versions, and these Makeup Remover Pads are one of my favorites. Not only does making them at home instead of buying at the store save you tons of money and are safer for your skin but I feel like they work better than even the more expensive, higher end versions. These cleansing pads wash and moisturize your face every time you use them, whether you wear makeup or not. Lavender and Frankincense essential oils are cleansing but they also help restore skin with anti-aging properties and give it a youthful glow that you will love. Note: affiliate links are used below to show you where you can purchase the supplies needed to make the makeup remover pads. Pour ¼ cup distilled water in a mason jar. Add witch hazel, castile soap, coconut oil, lavender essential oil and frankincense essential oil to the jar. Replace lid and ring; shake well to combine ingredients. 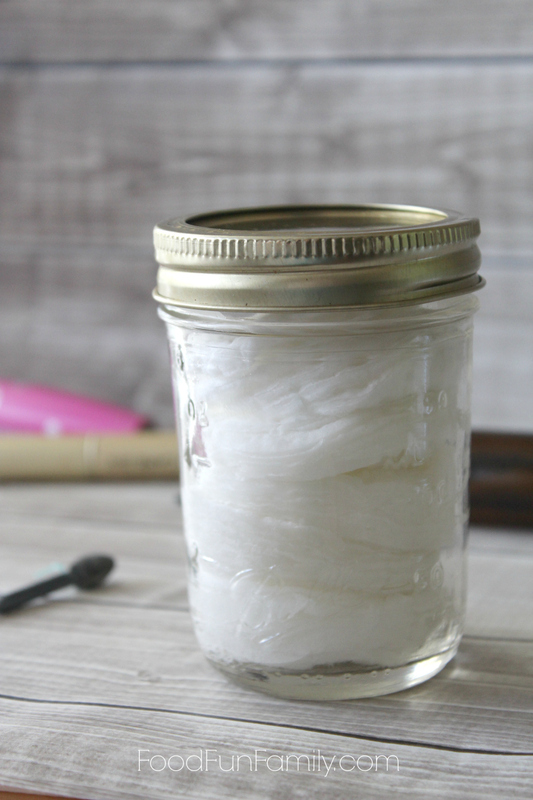 Place cotton pads in the jar to the top or until they stop absorbing the liquid. I like to remove the stack and flip it upside down in the jar so the top ones are on the bottom and can absorb more water. To use: Remove a pad from the jar and gently wipe your face in a circular motion to remove makeup, dirt, and oil from face. Use morning and night for best results. Pour ¼ cup distilled water in jar. 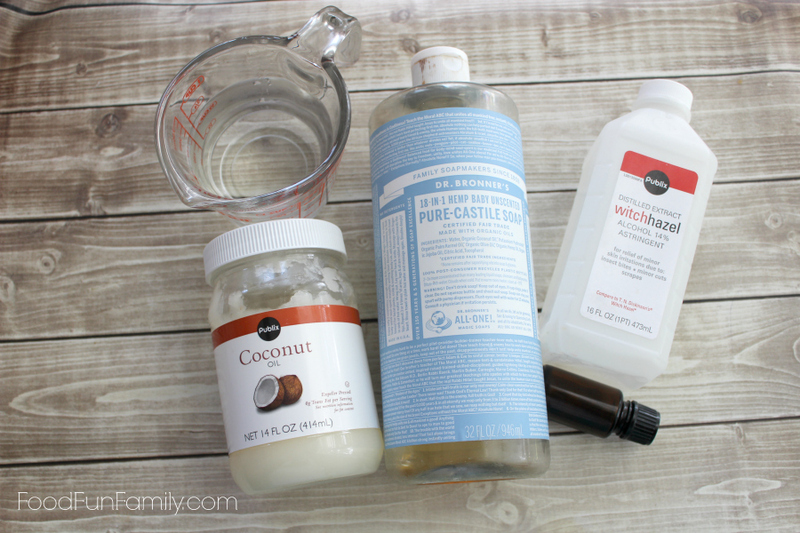 Add witch hazel, castile soap, coconut oil, lavender essential oil and frankincense essential oil. Replace lid and ring, shake well to combine ingredients. 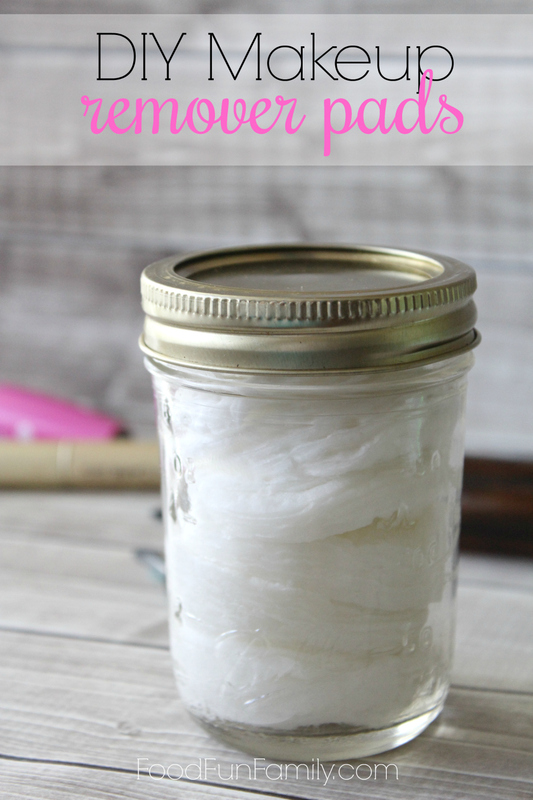 Place cotton pads in the jar to the top or until they stop absorbing the liquid, I like to remove the stack and flip it upside down in the jar so the top ones are on the bottom and can absorb more water. Jody Smith has written 31 post in this blog. Jody is a homeschooling, work at home mom of two from central Florida who loves shopping, gardening, junkin', scrapbooking, crafts, and cooking up a storm. Jody also has a couple of 4 legged babies, her dachshunds that are never far from her, and a hard working hubby too. She gets through these crazy days of life fueled by countless cups of coffee and a whole lotta’ Jesus. You can find Jody over at A Sip of Southern Sunshine, too. Can we use rosewater in place of distilled water? Did you buy ready made distilled water or you made at home? I would imagine that rosewater would work. I believe that Jody used bottled distilled water. I use waterproof eye makeup and I’m leery of using anything with EO’s on my eyes. I can see how this would be effective on other makeup. How neat! This does seem really easy to do it yourself. Great idea! I need to make these makeup remover pads. They look like they are really gentle to clean my face and get all the makeup off. Thanks for the idea! Loving the idea of these, off to buy a mason jar now! Can they also be used to remove eye make too? I would avoid getting them in the eye, but I think they’re mild enough to take off eye makeup (I use them for all over my face!). Wow! 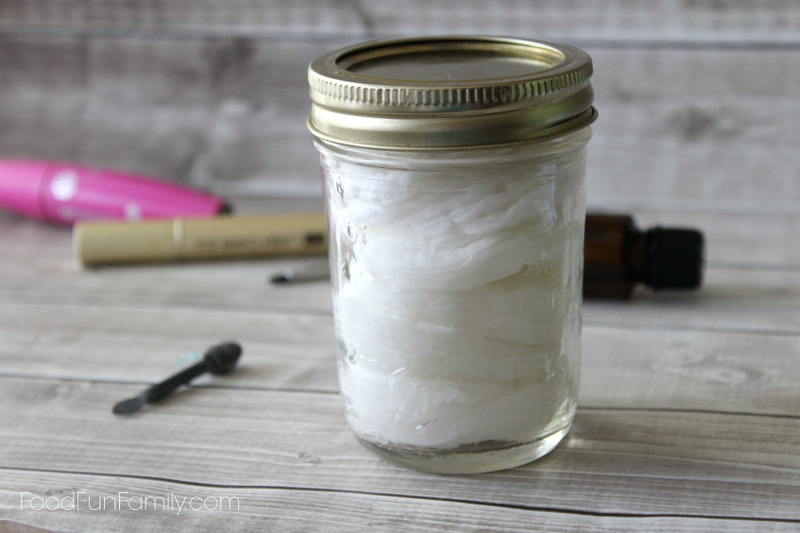 Such an amazing DiY beauty trick! I will have to make these! I love that I know what goes into these cleaning pads and also saving money! Wow, I had no idea these were so easy to make! Also DIY! Thanks!